I’ve been influenced by mentors, professional crushes, role models, and sponsors. When I think about them, the list is long. 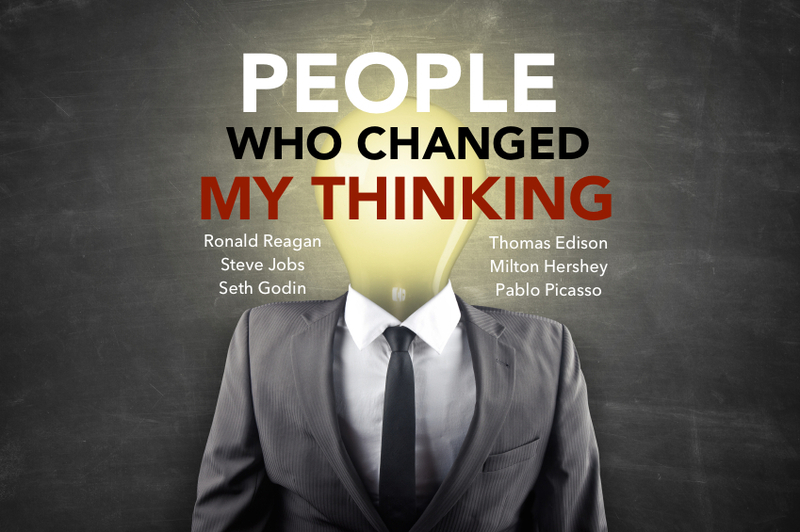 A handful stand out as people who have changed my thinking. One of them joins us today and tomorrow with a really neat project he’s started. Steve Jobs makes an impression on me everyday. Jobs’ vision for the future and his ability to connect the dots drove big shifts in my thinking. Most of all, Jobs taught me was that being different was okay and that my time is limited being different, so don’t waste it on being someone else. When I was a kid, I was crazy, misunderstood, and often overlooked. I spent years being ridiculed for seeing things differently, and I sometimes still do. But, I’ve made career out of being different and seizing life and I’m dedicated to helping others find and share their own ‘difference’. And then there was Seth Godin. 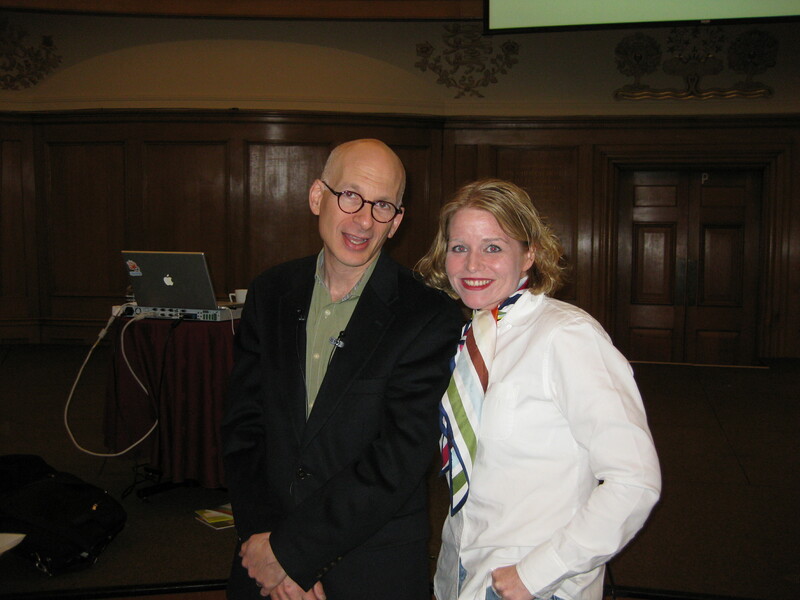 Seth Godin, besides being the only lucky one still alive, is at the top of my list. Seth has helped me define my difference elegantly: I’m an impresario who enjoys knowing, sharing, and connecting people, one remarkable person at a time. His thinking, words, and generosity reassure me when I’m stuck. He taught me to connect with people one to one, but to earn their permission, by building trust, to keep connecting. The Purple Cow reinforced my 8-year-old desire to be different. He preached his best in Tribes where I began thinking about super connectors. V for Vulnerability taught me about leading through crisis and had me throw out PowerPoint. Yes, Seth has profoundly impacting my thinking and the way I provoke, connect, learn from and teach others. And now, with his latest project he’s about sharing what you care about and giving back, which encouraged a passion I have for education, women and STEM... its own project that is well on its way that I hope to share more soon. So, who are your four? five? or ten? Who has changed your thinking? What have you learned? How are you sharing it? “The wireless music box has no imaginable commercial value. Who would pay for a message sent to nobody in particular?” —David Sarnoff’s associates in response to his urgings for investment in the radio in the 1920s. Mubachi – that’s a good one. What did you learn? Do you still go back and read his thoughts? Poke the box remains one of my FAV works by Seth. I quote it often in discussions with staff and as a self reminder. Seth, when will Katie be working with you?